If you like what you hear, Marija is recording a new album this year and needs your support! Visit www.shadowstalk.com/marija for details on how to Donate! Thank you! 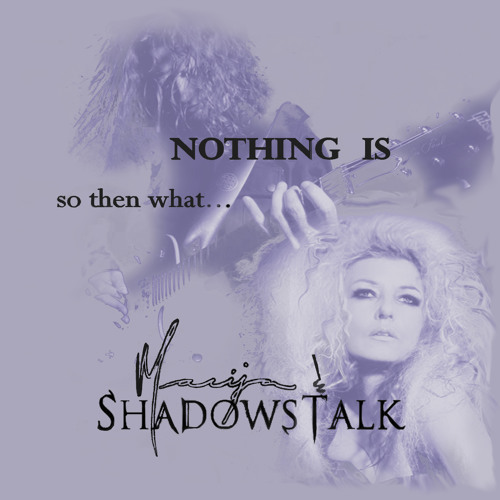 Marija and Shadowstalk released "Nothing Is So Then What" and the album is getting rave reviews on both ITUNES and CDBABY. This EP would be Marija's second album with Renowned rock producer Michael Wagener ( Ozzy, Metallica, Skid Row) and would once again showcase her talents as not only powerfully emotional singer, but as a songwriter. Marija is building momentum not only in her home Country of Canada, but her music has branched out to the US and Europe market and has also been featured and is being played in Japan. Marija captivates her audience with her undeniable live energy. Her history is inspiring, as a hearing loss in one ear nearly claimed her career. After relearned how to sing by playing bass and other instruments, Marija rediscovered her voice, and her songwriting took a turn to a more personal and passionate level. Marija is an independent artist who has recorded two albums as a direct result of private investors and her loyal fan base! Share ShadowsTalk music and remember that every download has helped this independent band to continue recorded the highest quality music for you.